Published: Dec. 30, 2018 at 07:30 p.m. The Los Angeles Chargers recover a fumble near the sideline on a Denver Broncos' kick return. Published: Dec. 2, 2018 at 11:37 p.m. 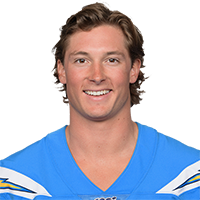 Kicker Michael Badgley kicks three field goals in a row to eventually win the game for the Los Angeles Chargers.